There are around 50 houses in the street where I live . In the evenings all the kids would be on the street playing cricket, football and some local games.When I was a kid, I used to play all these games in the same street. But these days all I do is just go out meet some friends in the street and talk with them. I also love watching the young kids of today's genration play the same old games that we once played. A young boy, Jim also lives in our street. He is quite dumb and poor compared to the other kids. The other kids never play with Jim because he is very poor and cos he is dumb. Jim would also stand near us and watch the kids play. The other Kids would call him " Idiot Jim". He would just smile at them. I would feel like hitting the other kids, but I never do that because the kids are rude and arrogant indeed. What if they beat me up? So I always keep quiet. This weekend, after Jim took the One rupee coin, I pulled him to one side and said, "Hey Jim, don't you know they're making fun of you? They think you don't know that the Ten rupee currency note is worth more than the One rupee coin. 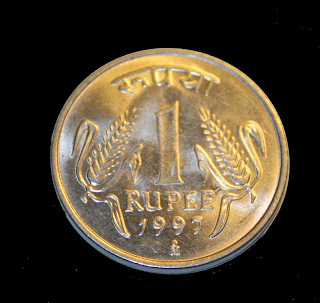 Are you really grabbing the One rupee coin because it's heavy, or what?" "No," Jim said, "but if I took the Ten Rupee currency note they'd quit doing it!" Would you have punched those other kids if you have had some inspiration? like some oceanic bikini babes? nice one, Jim-I confess, it didn't strike me either! "I would feel like hitting the other kids, but I never do that because the kids are rude and arrogant indeed. What if they beat me up? So I always keep quiet"
haha nice lines...Buildinggum strong illa Basement um stong illa pola!! i see a George Bush in Jim!! "who's the dunce now, eh?" as street smart as Jim or probably more, eh ? that s a clever boy indeed! MAn, u have some many stories to tell, where do they come from?????? from ur unstoppable imagination?? But sounds like a good editing from the forwarded mails..! jim the rocker :P....was it fiction..
That's so sad. 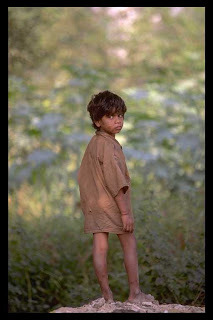 I felt really bad for the poor child :( , can't u do anythin for him? im in the office and been reading blogs... have to say, every blog offered a quality read! i saw this scene in a korean movie a couple of years back... dunno how long he was playing the trick though? you should see this movie man.. it was really touching indeed..
i have heard this story in management meets and have seen this scene in a korean movie too.. you ought to see this for sure.. really touching..
yes it is .. a movie screen... if only it had happened in my life ,..
did you read the story fully? Wishful thinking is really great too..:P.
a grown up with a kid of a heart! cute stuff.. but damn good! aaaaaaaaaaahhh! good 4 jim dat d other guys r so dumb! my pop used to say " Mental retards are not idiots and Kids are actually not Dumb.. u get to learn more from them"
nice one chriz. its wise to act dumb and shut up in certain situations. sorry for not being frequent. have a lot going on....keep writing. unakku? enna mariyaadhai illama pesikittu.. i dont like it i say!!! to answer your question... yes vetkam illai..
yes welcome back and do update your posts.. the tag post is the last one u did... if i remember.. thanks for coming.. do come again..
it is indeed ur best post chirz. this single post reflects so many things. super! lol jim is smarter than u.. i like that! Awwww! Lovely... just so smart and in your face! Hmm...jim is a smart boy, so creative and so intelligent. How I wish I could apply this during negotiation of salary :) but I can't do that. awww its been so long i read ur post. today also i havent read and m commenting :| i think i forgot to put u on folow up and dnt even find u online.. boy u r always invisible..
m leaving blore this thursday. had been to mumbai to see a doc. Smartie Jim !Lovely one Chriz ! Ithu taan padichavanukkum padikkadavanukkum vithyasam...!!!! that was a different name bro.. thanks for coming.. I am having doubts, were you the jim??? Lol, jokes apart, nice fiction and jim is not dumb after all!! Wow! Jim is a rock star! First time here...and I kinda like it!! keep coming bro.. thanks fopr visiting..
some time back i was solving riddles on the net for my GDs and stuff..
i m getting pumped up now..to show such cleverness in front of my interviewers!! !